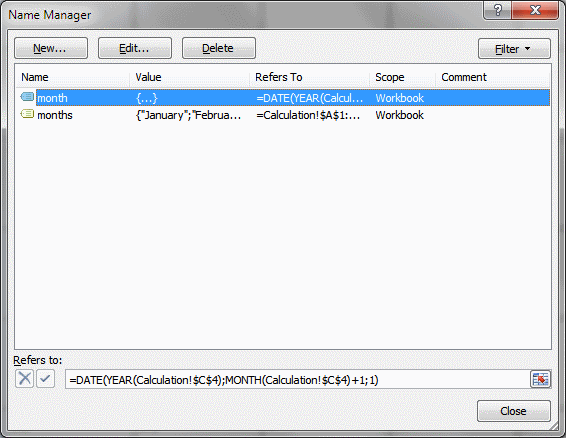 The image above shows a calendar that is dynamic meaning you choose year and month and the calendar instantly updates the dates accordingly. 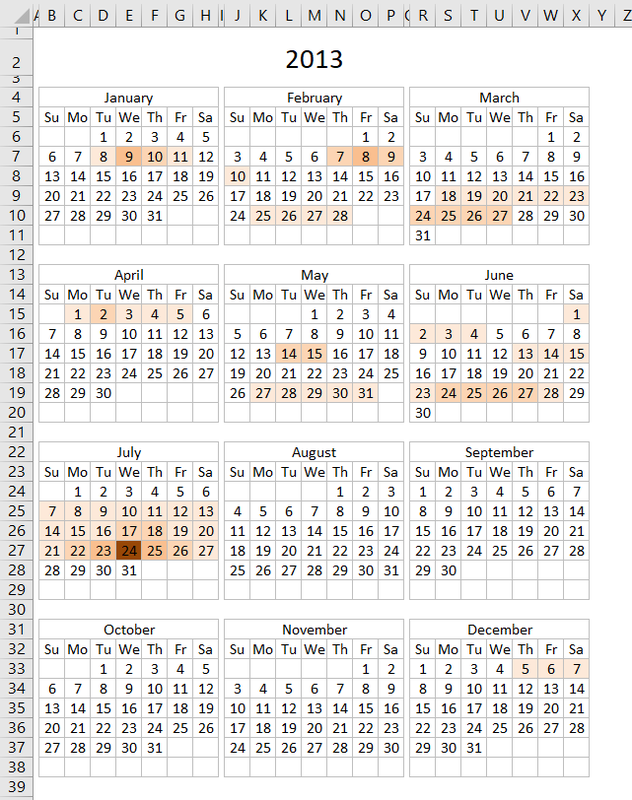 There is a more advanced version here: Calendar – monthly view that lets you add events and more. Select a month and year. 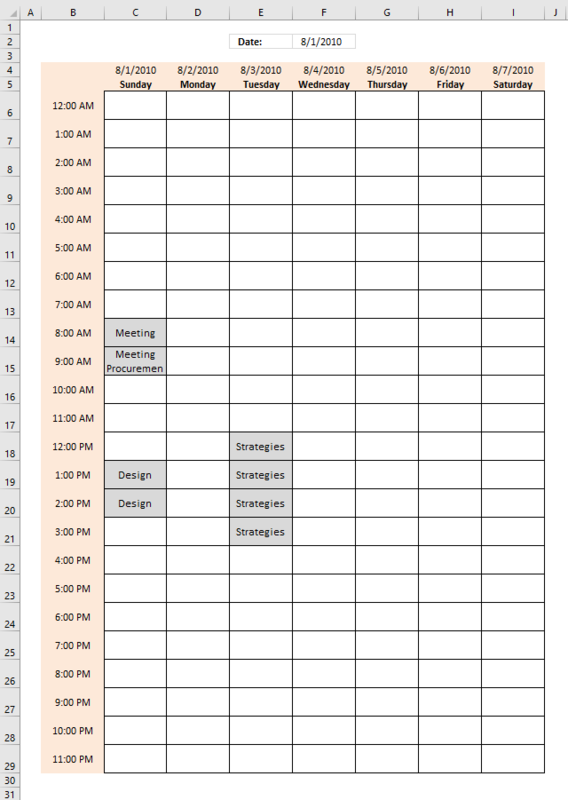 The cells (C2 and E2) are drop down lists. 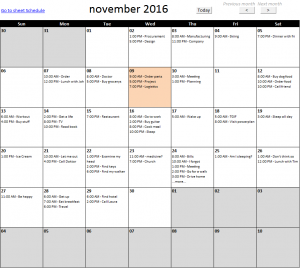 The calendar is instantly updated with dates. This makes it quick and easy to print months. You may have to adjust print area. 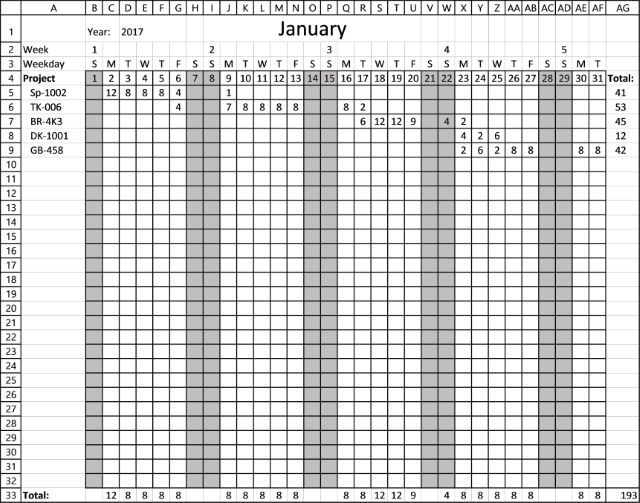 My calendar has seven columns and six rows filled with dates. I created a second sheet "Calculation". 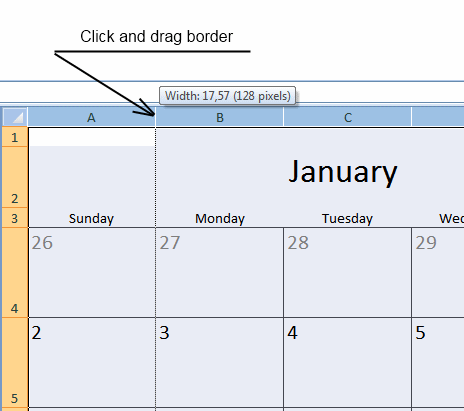 Select cell B4, type in formula window: =A4 +1 + ENTER. Copy cell A5 and paste it down as far as needed. 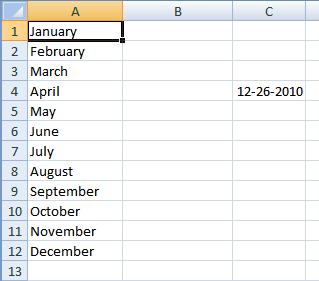 Create named range, named "month"
Select cell range A1:A12 in sheet "Calculation"
Click "Use a formula to determine which cells to format"
I am using random letters. Is there a way to add more years? Possibly to 2020 or further? Same question as Chris D above, how can we add additional years? 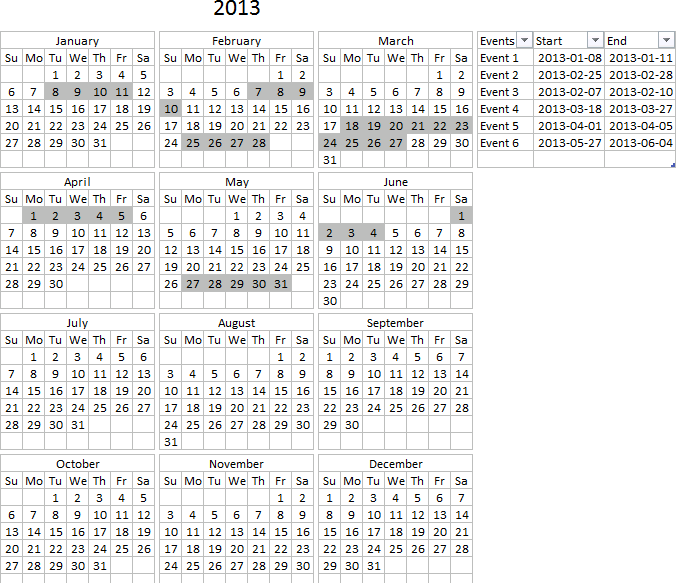 This is the cleanest calendar template I have seen yet and sure would like to continue using it. 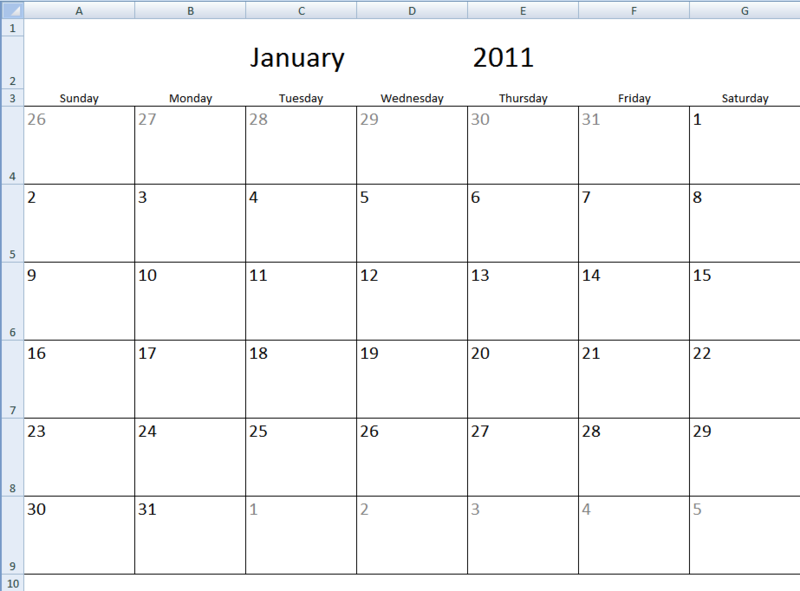 Oscar, I was working on your monthly calendar template in Excel. 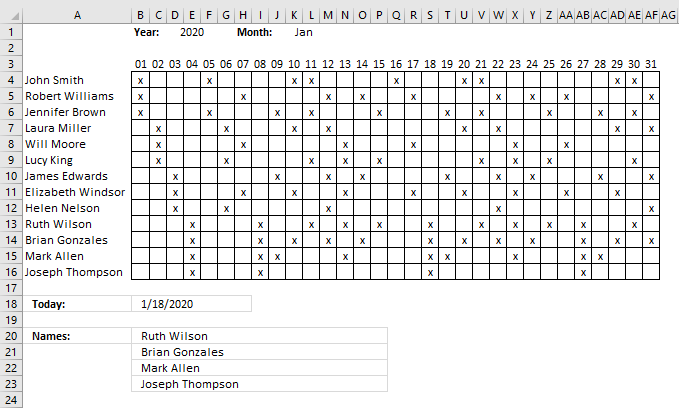 I am using Office 365 ProPlus Excel 2013. have any of the formulas changed since you created? I am getting an #NAME? 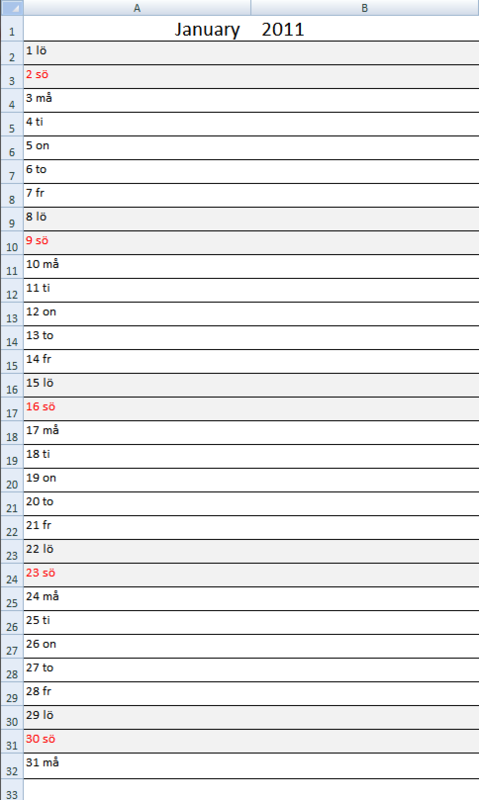 error on my Sheet 1 all the formulas and Calculation sheet C4.